Yasya, the kid vlogger is at the playground for kids again in this episode of her vlog for kids, where you can learn colors and numerous songs for babies. 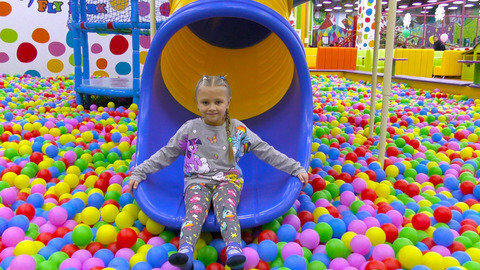 In her favorite pony printed outfit, you’ll see her swim in the ball pit, climb and slide down the spiral slides and play with colorful sand. Sing to kids songs like “The Finger Family”, “Mary Had A Little Lamb”, “Jack And Jill”, and “Five Little Monkeys”. Watch out for more episodes and other fun educational videos by going to SeeZisKids.com today.